History has painted the quintessential diamond as luminous, bright, colorless, and beaming. The only way a diamond can sparkle like lovers’ eyes or the stars in the sky is if it’s as vivid as light itself! Apparently, it’s all about the diamond cut’s fire, brilliance, and scintillation. But, for some who find solace and a sense of belonging in colors, the sparkle is only secondary. What appeals to them more are vibrant hues, active blues, lively pink, jazzy purple, electric green, (even bold black!) and other dynamic hues that can instantly boost their spirit. And what a dream it would be to see their beloved color in their engagement ring! If you find yourself profusely nodding to this, then fancy colored diamonds might be the best choice for you (or for your lady). Not only are they visual stunners, they’re also very rare and in demand! Read on to discover their psyche and find out how you can make the most out of your budget with this beloved class of diamonds. Let’s begin with the origin! How on Earth are Fancy Colored Diamonds Formed? These colorful jewels came into existence through a variation of trace elements inside their makeup. Rare elements like Boron bestow a blue hue. While abundant elements like nitrogen give a diamond a yellowish hue. 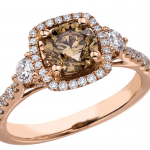 That’s why most diamonds out there possess a yellowish to brown color. Diamonds can also pick up color through radiation. Stones that were deeper within the earth might have received certain doses of radiation – and that would be any green diamond. Another cause would be through strain and color zone defects in the crystal lattice. What happens is, if a lattice is distorted, it will allow the diamond to take in certain wavelengths of light that can cause it to exhibit colors. Take the Pink Argyle diamond on the left for example! The captivating color of this diamond might make some wonder if it’s treated. Are Fancy Colored Diamonds All-Natural? For instance, the untreated ones are the natural stones that are found in a mine and then cut into a diamond without undergoing any improvement. Treated diamonds however, are usually brown diamonds that are enhanced to change color. This is usually achieved through high temperature and high pressure. By doing so, the crystalline structure of the diamond alters and reacts to other wavelengths of light. Clearly, treated gems are way cheaper because they are made up of inexpensive brown diamonds. It is quite simple to tell treated and untreated fancy colored diamonds apart. Enhanced ones look artificial and have overly saturated colors! Although there are natural diamonds with much higher saturation, they are very rare and are usually priced at a premium! Wait, Aren’t Tinted Diamonds Considered Low Quality? Well, if you already know a thing or two about diamond color, then you must be confused when I mentioned how in demand fancy colored diamonds are! Because basically, diamonds range from D (colorless) to Z (heavily tinted with yellow) and the more evident the color, the lesser the value. However, fancy colors are from a different diamond scale where hues are too strong to be categorized with tinted white diamonds. In this range, the stronger the color, the rarer and more valuable the diamond will be! Fancy colored diamonds bear all the colors in the rainbow spectrum and then some. The rarest are purple, orange, green, and red, tailed by pink and blue. While the most common, yet less valuable, are browns and yellows. There’s lighter and heavier tones for each color, and even white, gray, and black have a niche market. The slightest color difference can alter the diamond’s value. Take a look at the different colors and see which fancy colored diamond speaks to you! 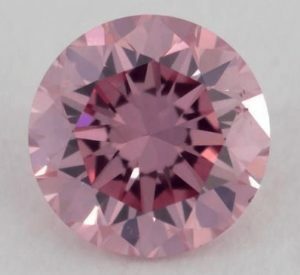 One of the most beloved diamond colors is pink. 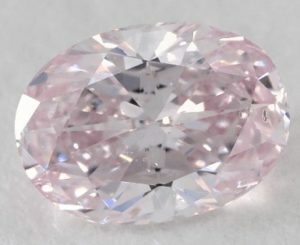 Aside from their extreme rarity that makes them some of the most valuable gems, pink diamonds are sought after because they exude the color of romance. 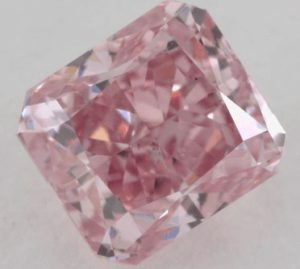 The cause of pink diamonds’ color is still unknown and this mystery adds up to their allure! 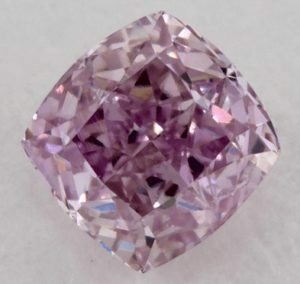 Highly saturated pinks and purplish pinks are so rare that they’re used for investment purposes as they can easily amount to millions of dollars per carat. The Argyle Pink Diamond Mine in Western Australia is the only known major source of rare pink diamonds. They produce over 90% of the world’s supply! 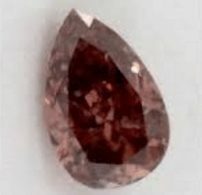 Red Diamonds – The Rarest of them All! With its extreme rarity comes a high demand. 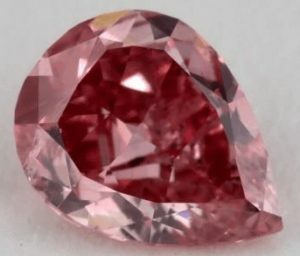 Diamond enthusiasts, investors, and collectors vie for a pure Red diamond that’s very difficult to obtain. And upon a new release, prices skyrocket! 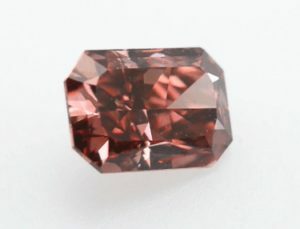 The Moussaieff Red is one of the most spectacular stones in existence. The 5.11 carat, Fancy Red diamond is known as the largest internally flawless red diamond in the world and was sold for almost $8 million in 2001. 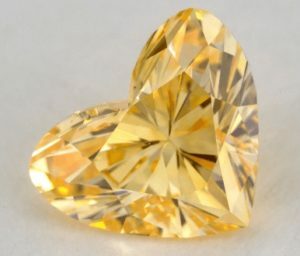 A pure orange diamond is another rarity. Having earned a nickname, the fiery gem’s popularity escalated. One of the most sought after Orange fancy colored diamonds is The Pumpkin Orange. It has a cushion shape Fancy Vivid and weighs a whopping 5.54-carat! If that isn’t big enough, its rough which was found by a farmer in South Africa in 1997 is said to be 11 carats. This orange diamond spells energy, creativity, and life-burst! 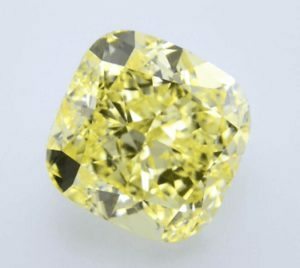 Given that roughly 60% of fancy colored diamonds are yellows (also known as Canary diamonds), they’re considered as the most well-known. It’s true that last grades in the standard diamond color scale appear yellow, but they’re far from real yellow gems. This is because fancy diamonds are rarer, more expensive, and exhibit a strong color. Some of the most celebrated yellow fancy colored diamonds in the world are The Tiffany Yellow, The Incomparable, and The Florentine. The instant boost for tired eyes is to look at anything green, even better if it’s nature. This fresh color soothes the eye and symbolizes growth, fertility, and harmony. 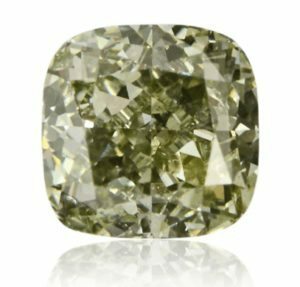 Apart from its calming hue, green fancy colored diamonds are coveted because they’re the second rarest fancy diamond, following reds. 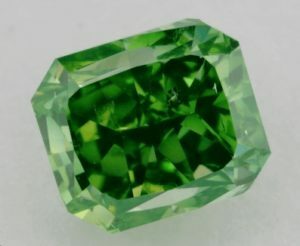 After bathing in beta and gamma rays eons ago, the green gem’s beautiful color was formed. Blue has always been the color of wisdom, prestige, and royalty. 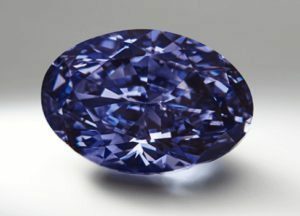 The same goes for blue fancy colored diamonds as the most famed one, The Hope Diamond weighing 112.25 carats, was owned by King Louis XIV. There are different elements that are responsible for giving the blue diamond its color. When boron, nitrogen, and hydrogen become trapped in the stone’s matrix, blue diamonds are created. Although violet and purple diamonds’ hues are very close to each other, the cause of their colors is different. Pure violet gems are so rare that when they do appear, it’s only in small sizes. They're not your typical gems as Violet fancy colored diamonds whisk a blend of creativity, individuality, and imagination. This diamond color charms those who dabble outside the norms and are always dressed with a dash of wonder. The biggest violet diamond ever found at Australia’s Argyle Mine is the 2.83-carat Argyle Violet. Purple Diamonds – A Sense of Mystique! Purple is often connected to otherworldly thoughts and sensations. It is not for everyone. And if you’re captivated with purple then you know how good this diamond color is for calming the mind given its balance of red’s spur and blue’s stillness. The cause of the color is an unusually high presence of hydrogen. Purples are usually used as a modifying color since pure ones are very hard to come by. It can add eccentricity to pinks and a spiritual feel to blues. You must’ve thought of colorless diamonds when you read White diamonds since the two terms are interchangeably used. But white fancy colored diamonds are not transparent, they actually have a strong white face-up color. Think of fine sugar or white powder, that’s how opaque white gems are! And because white is a neutral color, these diamonds aren’t graded by their intensity. They’re only known as Fancy White. Gray diamonds are unheard of to most first-time buyers. But it’s not as dull or gloomy as some would think it is. On the contrary, this diamond color exhibits a mesmerizing, chic metallic glow! Gray fancy colored diamonds add elegance and character to conventional engagement rings. And they are relatively much affordable! Known as silver, charcoal, and graphite, gray diamonds possess a wide variety of intensities. 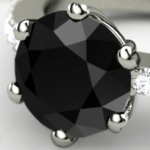 Black Diamonds – Dubbed to Have Extraterrestrial Origin! 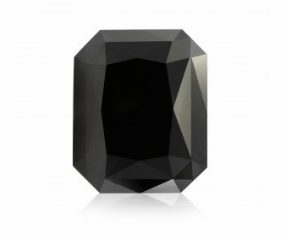 Natural black diamonds, also known as Carbonado, are so exceptional, they can only be found in Brazil and in parts of the Central African Republic. Since they are completely opaque, they do not vary in intensity or color at all, and can only be graded as Fancy Black. Black fancy colored diamonds do not exhibit fiery brilliance, but they possess an exotic luster that makes them a good fit for anyone bold enough to own a black gem. A stone that’s said to bear nitrogen and hydrogen – scientists’ indicators of an extraterrestrial origin! 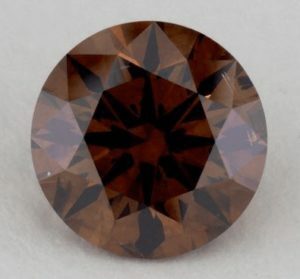 The so-called “Chocolate Diamonds” are simply brown diamonds to which the term “chocolate” has been attached for marketing purposes. The naming scheme became a hit and it urged other mines to use catchy titles for other hues. Other tones are known as Champagne, Cognac, Clove, and Cinnamon. 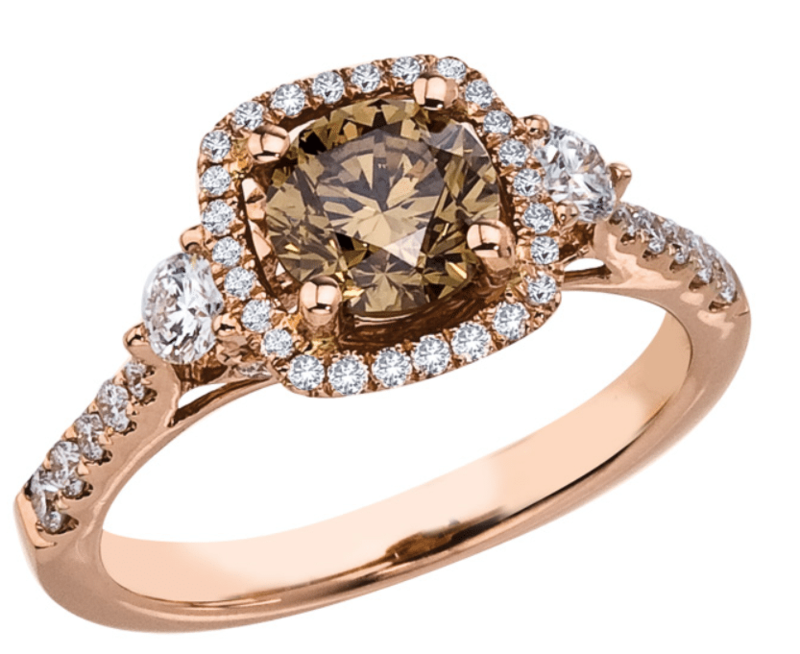 With these names reminiscent of one’s favorite dessert and drinks, anyone can easily relate to brown fancy colored diamonds and be entranced by their rich color. Chameleon Diamonds – The Color-Changing Gems! You read that right! Chameleon fancy colored diamonds bear fascinating color changing capabilities. They can actually temporarily change color depending on their environment. These one of a kind diamonds contain at least two color combinations such as: Yellow, Green, Gray, and Brown. Their unique behavior cannot be replicated to create artificial gems and there is no known treatment to make regular diamonds exhibit the chameleon effect. What a true rarity! 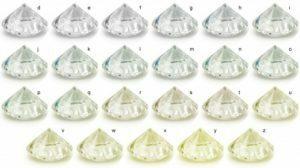 So, How Are These Fancy Colored Diamonds Measured? The first thing you have to know is that the normal cut grade criteria doesn’t apply here. A fancy colored diamond is about enjoying its inherent body color and luster, and not so much about its fiery sparkle. The only thing that counts is its body color. In fact, there is hardly any focus on its light performance because it only returns small amounts of scintillation anyway. 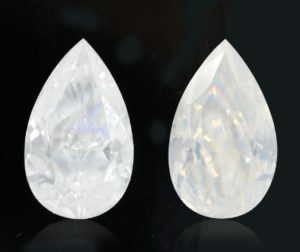 Therefore, even diamonds that would be considered to have a bad cut among white diamonds can still be super high quality fancy colored diamonds if the color is right. It’s the same with diamond clarity as fancy diamonds’ body color can camouflage inclusions way better than a white gem. So, the only important thing that remains is the color. This color is measured by hue, tone, and saturation. The tone lays out what degree of hue (lightness or darkness) the diamond has. The primary and secondary colors above are the ones responsible for the tone of the diamond’s color. You’ll know the difference between the primary and modifying color through their titles. The primary is listed as a noun, while the secondary is usually an adjective i.e. purplish. If the color is a 50/50 split between two hues, then it will be listed as two nouns i.e. Blue Green. Faint fancy colored diamonds are more common and are more affordable. They’re graded lowest in terms of tone and saturation and possess a faint or very subtle hue. 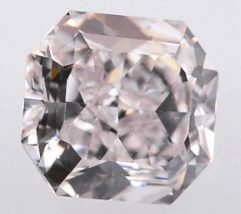 Diamonds with Very Light intensity are graded low in tone and saturation, and bear a very light, but noticeable hue. Light fancy colored diamonds exhibit a light tone and a weaker saturation. These stones have a weak saturation and a light tone. They’re also below the average saturation and tone rates. With a moderate amount of tone and saturation, the Fancy grading is placed at the center of the scale. Fancy Intense colored diamonds display a moderate tone with stronger saturation like yellows and pinks. Considered rare and valuable because of their vibrant hue, Fancy Vivid diamonds exhibit a moderate tone with a strong saturation. 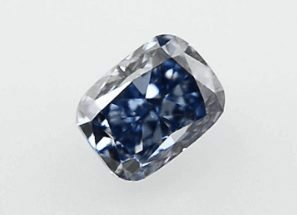 For darker colors like blue, Fancy Deep diamonds are graded highest when it comes to tone and saturation. Fancy Dark colored diamonds possess a darker tone paired with weaker saturation like dark yellows leaning towards a brown hue. Here comes the tricky part about fancy colored diamonds. For colorless gems, the market is pretty transparent and prices are based on the Rapaport price list. If you have a white diamond with certain specifications, you can make a sound guess as to how much the diamond will cost. With fancy colored diamonds, it’s a different story! Natural fancy colored diamonds are rarities and there aren’t many shops online nor offline selling them. 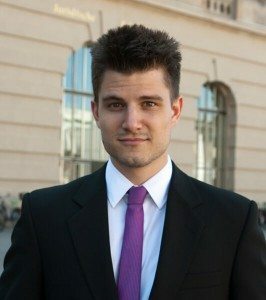 Therefore, prices are determined through the market based on demand and supply. This means that it’s a real art for an individual to guess the market value of any fancy colored diamond. 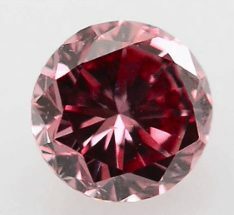 I would therefore always try to buy fancy colored diamonds from a reliable vendor such as James Allen or Leibish & Co.
Now, How Do I Choose Superb Fancy Colored Diamonds? 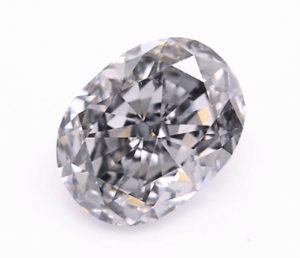 First, you will have to make sure that the diamond you are interested in is a natural fancy colored diamond – that is if you are really interested in buying a natural one. 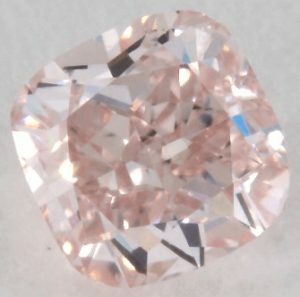 For normal diamonds, I would recommend going for either GIA or AGS graded stones; the same goes for fancy colors. This is because GIA has the strictest procedures for fancy colored diamonds. 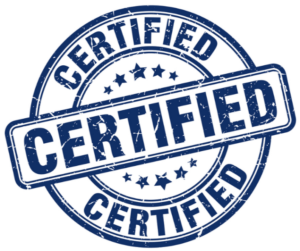 If it’s GIA certified, you can be sure that it’s natural as GIA never grades treated diamonds. 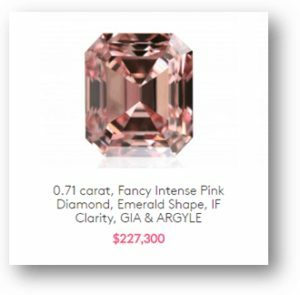 Of course, if you would rather have a treated one because you prefer intense colors, then you don’t need to have a GIA certificate. Apparently, cut and clarity are not that important as long as you cannot make out any inclusions with your eyes. Thus, you should simply go for the one whose color appeals to you most! The color saturation of fancy colored diamonds can differ within a single stone and for this reason, it is particularly important to view the diamond from all angles. 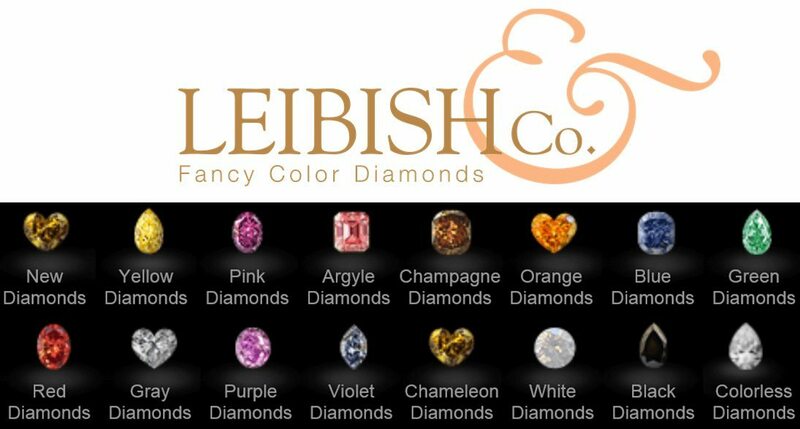 Another great place specialized for fancy colored diamonds is Leibish & Co. They have a HUGE selection of fancy colored diamonds that are personally handpicked by diamond experts – they also have 360° videos for most gems, so you can better decide on the color you like! Congratulations! You’ve reached the end of this post. The main prize here is the extensive knowledge that can take years for some to learn! We’ve barely scratched the surface, but after reading the meaty scoop above, rest assured that you won’t be talked into buying a diamond that you (or your fiancé to be) wouldn’t want! So how can I make sure that I am not overpaying on a fancy colored diamond? even for real experts who specialize on fancy colored diamonds it is very difficult to estimate the price of a fancy colored diamond. Unlike white diamonds fancy colored diamonds’ prices are really hard to figure out. The best way to make sure that you are not overpaying on fancy colored diamond is to buy your fancy colored diamond at a reliable and trustworthy vendor. Right now, I think that James Allen is the number 1 in trustworthiness and reliability!